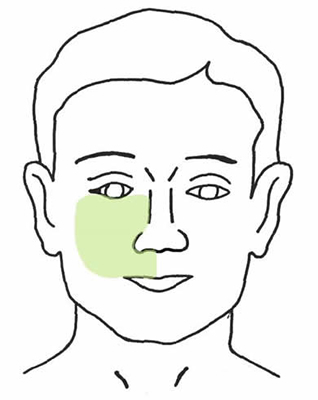 A 36 year old male presents through your sub-acute area with increasing facial pain & swelling. He reports a simple trip and fall 18 hours earlier (no alcohol on board, recalls all events), where his right cheek struck a concrete step. He had no LOC at the time, and has no historical features concerning for intracranial injury. He is worried today as the swelling ‘just keeps getting worse’. On examination he has obvious marked right zygomatic/maxillary swelling and ecchymoses. His cranial nerves are ok (particularly extra-occular movements and facial sensation). When you palpate his facial bones, for find something unexpected which leads you to expediting his CT scan…. What has happened here ? What other injuries may have been sustained ?? This CT demonstrates a comminuted, depressed maxillary fracture involving the orbital floor and lateral orbital wall (a ‘blow-out’ type fracture), with extension into the maxillary alveolar process. The most striking feature of this CT-series is the abundance of subcutaneous emphysema, and of particular concern to me was the extent to which it had traveled (to contralateral carotid sheath, SCM & masseter, submandibular space & of most concern to me, the retropharyngeal space at the level of the epiglottis). Whilst a bony injury of this magnitude requires little further ED work-up & can usually be referred to your Plastics/Maxillofacial surgeons as an outpatient, the amount of soft-tissue air in this case made us reluctant to simply discharge him home. Subcutaneous emphysema in the setting of facial and neck trauma raises the suspicion & should prompt the consideration of an aero-digestive injury. Our patient in this case had a single isolated blow to the right cheek & no evidence of anterior neck injury (and gave excellent recollection of the events). He had no dysphagia, dysphonia or neck pain, but did report a recent runny nose. Regardless, we elected to pursue this further by asking our ENT colleagues to review him. In short, he was admitted for observation & commenced on IV antibiotics. The ENT registrar performed a nasendoscopy in the ED revealing a macroscopically normal airway to the level of the cords. He was discharged home 48 hours later with no further sequelae from his injury. The most common simple fracture of the orbit is the ‘blow-out’ fracture of the orbital floor. * Bony fragments & orbital contents can sag/herniate into the maxillary sinus. * Assess function of infraorbital nerve. * Retrobulbar haematomas (or malignant orbital emphysema) can create an ocular compartment syndrome leading to blindness from acute ischaemic optic neuropathy. (Suggested by exophthalmos, reduced visual acuity & increased IOPs). Non-displaced or minimally displaced fractures can be handled as an outpatient with definitive repair delayed by up to 7 days. 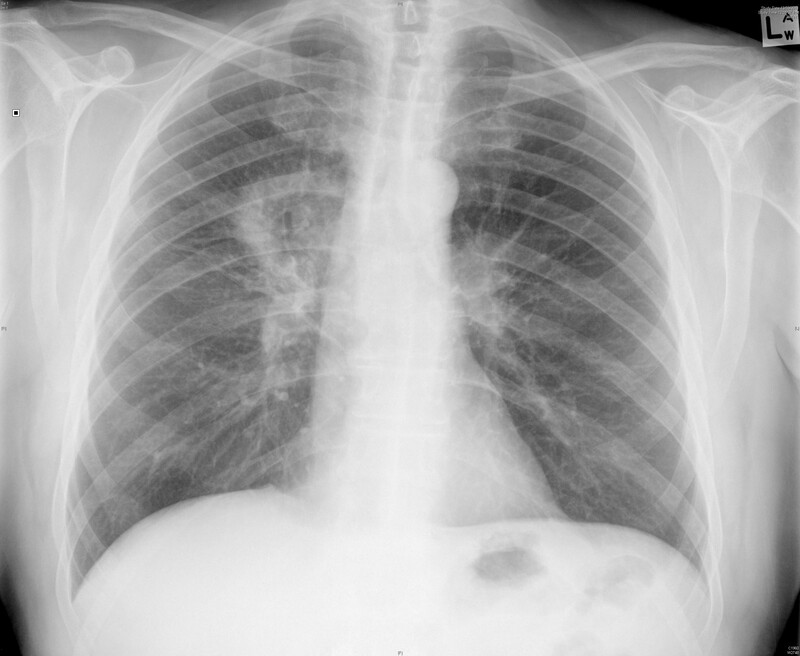 Antibiotics are required for open fractures and fractures that violate sinuses. Amoxicillin-clavulanate is sufficient. Lateral canthotomy is required for suspected or confirmed retrobulbar haematomas. Lastly; avoid sneezing and don’t blow your nose !! As it turns out, our man had a simple case of man-flu just prior to his injury and in the 12 hours prior to his ED arrival had been vigorously blowing his nose in attempt to clear his nostrils ! !